The objective of the “Meet the Life Sciences” event is to share valuable experiences of those who are capable of transforming a challenge into a successful entrepreneurial initiative in the Life Sciences. The meeting is scheduled for tomorrow, Wednesday, 25 June, at 3:30PM at the Certosa di Pontignano in Castelnuovo Bernardenga, Siena. 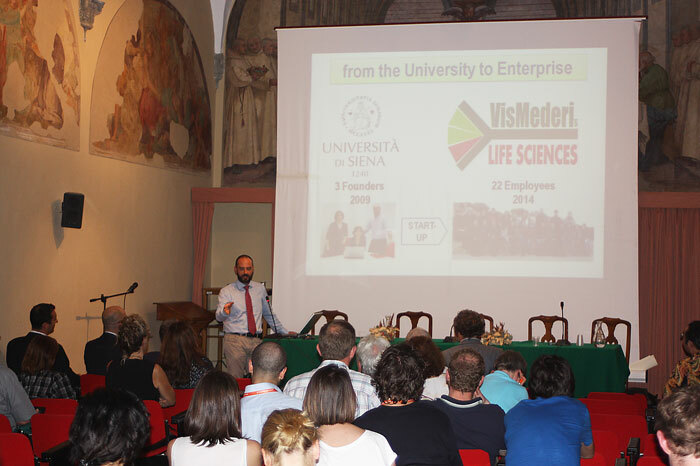 The event of the “Afternoons of Innovation and Life Sciences” series is a new opportunity that was promoted to offer room and possibilities to meet professionals, researchers, businesses and institutions on Life Sciences in Tuscany. The event will be broadcasted in streaming on the website www.meetthelifescience.it with live twitting, You can participate in the debate of @Meethelife by following#startup. The meeting will start at 15:30PM with opening greetings from Alberto Zanobini, of the Tuscany Region and the Introduction will be given by Fabrizio Landi, president of the Toscana Life Sciences Foundation. The main talk will be presented by Hiroaki Suga, founder of PeptiDream, special guest of the meeting, who will talk about how he managed to create an international business from an innovative technology based on non-standard peptides. The company’s history, dating from its beginnings as an innovative start-up to company listed on the Tokyo Stock Exchange, will start off the meeting, which will continue with a presentation of the Tuscan cluster’s experiences. The first case history will be presented by Emanuele Montomoli, CEO of VisMederi. He will illustrate their experience as a business regarding the organization and management of basic applied and clinical research protocols. Gionatan Torricelli, CEO of InSono, will talk about his own story as an entrepreneur in a University spin-off, regarding the creation of medical functional devices based on technology. “The challenge of creating devices for a safe and painless endoscopy” is the title of the presentation given by Giuliano Gorini, CEO of Era Endoscopy, who will expound his experience as an entrepreneur and manager in the Life Sciences field. At 5:30PM a roundtable discussion will be held in which the ideas presented by the speakers will be discussed and examined, so as to encourage comparative reflection on how to accelerate entrepreneurial creation of innovative ideas in a regional ecosystem. VisMederi, created in 2009 from the expertise in the development and validation of serological methods for the control of pharmaceutical products within the Molecular Epidemiology Laboratory of the University of Siena, receives orders worldwide in the area of vaccines, where it performs analytical tests of biological samples and validation of bioanalytical methods for the pharmaceutical industry. InSono, created in the second half of 2011 by a small nucleus of researchers and professors from the Electronic and Telecomunications Department of the University of Florence, works on the creation of devices for optical analysis and ultrasound in the field of diagnostics. Era Endoscopy is a spin-off of the Sant’Anna Superior School of Pisa focalized on research, development and the commercialization of medical devices that perform excellently in terms of safety and non-invasiveness.